Welcome to the yard! Come and meet the girls… Cate, Tabby and Violet and their beautiful horses. Leaving The City is the first book in the new Sweetbriars Equestrian book series, which is receiving wonderful reviews. 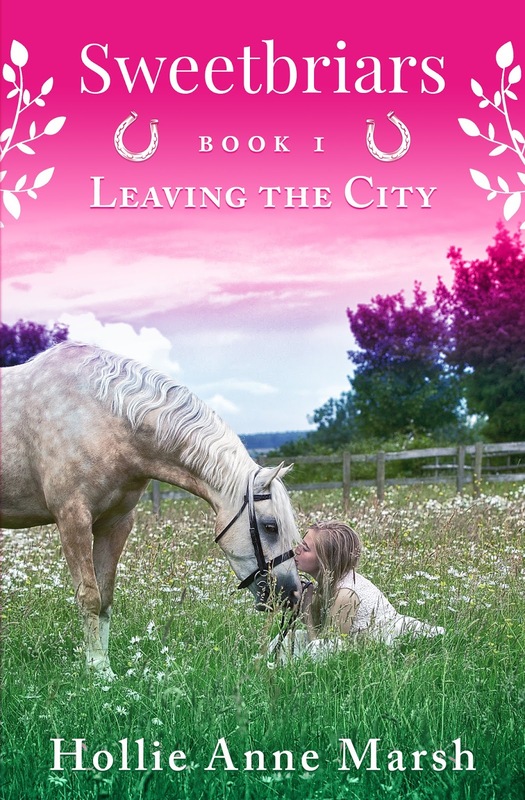 It’s a great book for young readers and readers that love animals and horses. Setting up an equestrian centre at Sweetbriars is fun to Cate, but settling into a new school and having a stern Pony Club riding instructor that teaches dressage is less so. At school, Cate makes friends with Violet, who is confident and wacky, and through Pony Club she gets to know Tabby, who is sweet and popular. The girls’ lives will be intertwined in ways they could never have imagined thanks to their shared passion for horses and Cate’s determination to make Sweetbriars a success. It would be Violet. 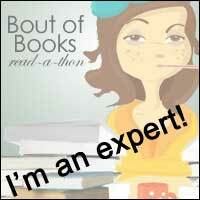 The first book has Cate as the main character. She is the daughter of the family who buy the Sweetbriars farm. She is quite sweet, sometimes lacks confidence after she is uprooted from everything familiar... but she finds strength and happiness through moving to Devon. Violet becomes Cate's friend, and helps her on her journey. She is sassy, confident, funny, and not ashamed to admit she is a bit of a novice ridier... she also has particular habits that the future books will reveal more about. She is the kind of friend we would all like to have. She has your back and isn't afraid to tell you what she thinks. I can't wait to write one of the next books with her as the main character. Hollie is an Australian author who lives in Barcelona, Spain with her partner, baby boy, and Oldenburg mare, Frieda. 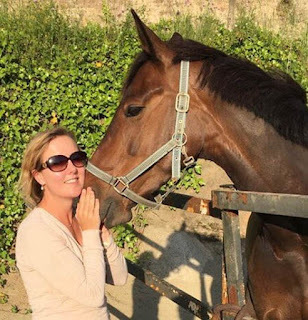 After having a professional career, including creating the equestrian online shop Equiporium (since sold), working for many large multinational companies, and having a baby, Hollie reconnected with her passion of writing and finished the manuscript she wrote many years ago. Hollie has been riding since she was a little girl, enjoying activities such as Pony Club, showjumping, eventing, and trail-riding in the great Australian bush. Hollie lived in England for almost ten years where she had two horses and trained them for dressage. The Sweetbriars series is inspired by all the special moments Hollie spent with horses... good, funny, and challenging moments! 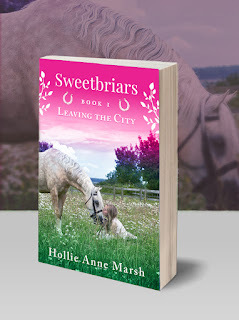 In creating the new Sweetbriars series, Hollie hopes that readers will not only find the books fun to read, but they will also inspire readers to learn more about horses.